Less than two weeks before global leaders meet in Marrakech, Morocco at the United Nations Framework Convention on Climate Change, scientists from the University of California San Diego offer their expert advice: bring scientists and policy makers together now to help ensure success in combating climate change in the future. Charles F. Kennel of Scripps Institution of Oceanography at UC San Diego and David G. Victor of the School of Global Policy and Strategy say combining science and policy is the answer to the world’s most pressing problem. 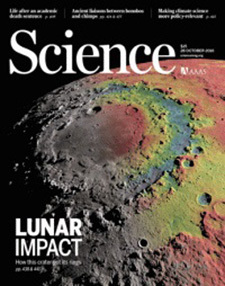 Their article “Making climate science more relevant,” coauthored by Stephen Briggs of the European Space Agency and European Centre for Space Applications and Telecommunications, appears in the Oct. 28 issue of Science magazine. Calling for better indicators for climate risk management, the authors see great opportunity in combining expertise. Assessments of physical climate change risks and more profound systemic risks are more successful when scientists have a seat at the table. “The scientific community should judge its relevance by whether it helps these decentralized actors and its processes craft and implement more effective policies,” they write. Kennel, director of Scripps Oceanography from 1998 to 2006, is an expert in climate science, with research focused on the California environment, global change and global environmental monitoring. He said the time is right to develop new analytical tools and methods needed to manage climate risk. Victor, a political scientist and author of “Global Warming Gridlock: Creating More Effective Strategies for Protecting the Planet,” said the time is now for the scientific community to play a large political and policy-relevant role. He co-directs the Laboratory on International Law and Regulation at the School of Global Policy and Strategy, and is a leader in the newly formed Deep Decarbonization Initiative at UC San Diego, a combined effort of engineers, climate scientists, and physical and social scientists across UC San Diego working to help cut global emissions of warming gases given very real technology, economic and political constraints that exist. “The real potential for scientists lies with helping policy makers address climate change in ways that will have a tangible, actual effect. Decision makers need the hard science to understand how their actions work, and scientists need governments, businesses and other important societal actors to implement their work,” Victor said. Climate scientists have the most advanced technology for quantifying and predicting natural and scientific responses to climate change. Social scientists such as Victor understand how decisions are made at every level of society. What is missing, the authors write, are actual examples of where these two meet to address and understand systemic risks. The scientific community needs to focus on coordinating the many groups working to monitor “planetary vital signs,” the authors say, representing a second set of climate change indicators that go beyond global average surface temperature. “The more trustworthy the leading indicators are about [climate and social] impact, the better motivators of action they could be,” they write. The authors bring to the fore a new focus for looking at risk indicators: useful analysis should start by talking to decision makers what matters most to them, including their own insights about how societies best respond, they write. Also new is identifying that the ability to educate these decision makers happens with more highly tuned science, larger data sets, and more accurate climate model predictions. This represents a different kind of climate change model, one that can inform climate risk analysis at scientific and social levels. Some regions, including California, are more advanced in utilizing tools from both sectors of society, and the authors recognize this while providing a guide to scale up this knowledge to the rest of the world. They address inequity in both responsibility of producing warming emissions as well as ability to think about systemic risk. For less-developed countries that cannot shoulder the cost nor technical ability, the authors say the world’s richest countries can, and should, lead.